I’m from Columbus, Ohio, [USA]. I’m big into movies for sure. I also like exercising and throwing the Frisbee with my dogs. You can always find me reading up on anything related to space exploration (especially SpaceX and the 1960’s space race). I’m hoping one day I can get into powered paragliding (PPG). Flying has always been a personal dream of mine. I feel like there’s one more hobby I’m missing here. LEGO has been a part of my life for as long as I can remember. 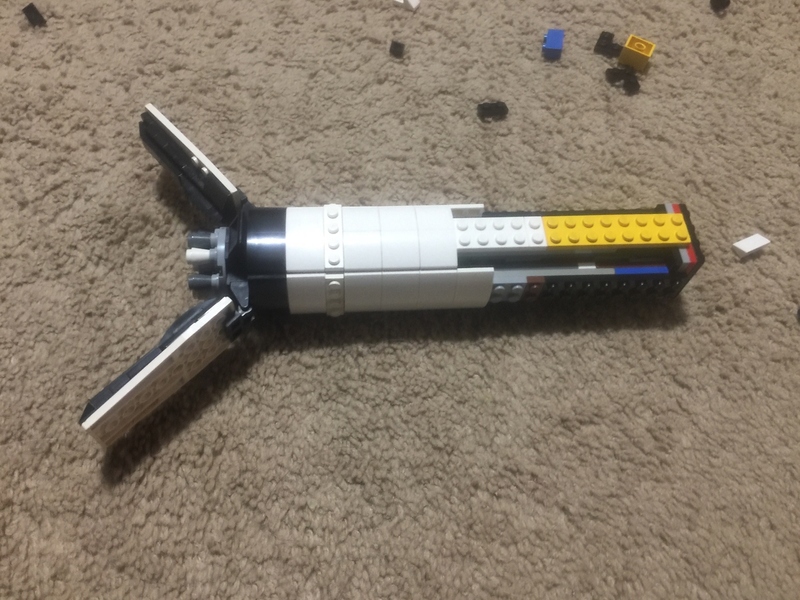 My earliest memory of LEGO is the time spent in the basement with my brothers building random things out of early 90’s sets like the space shuttle and pirates. Very fond of those memories. My favorite is any underwater-themed sets of the mid 90’s. I would spend hours running up the utility bill while playing in the bathroom sink with scuba minfigs and sharks. I also loved the intricate build of the Millennium Falcon (75192). It was a fun way to spend time with my wife, Kari. Probably the completed 1x2 hinge brick. It literally opens up an endless amount of possibilities, creatively speaking. 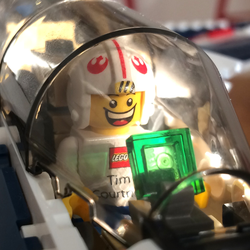 And nothing beats the excitement of finding one in a huge pile of LEGO bricks. Even if you weren’t looking for it you have this urge to set it aside, just in case. 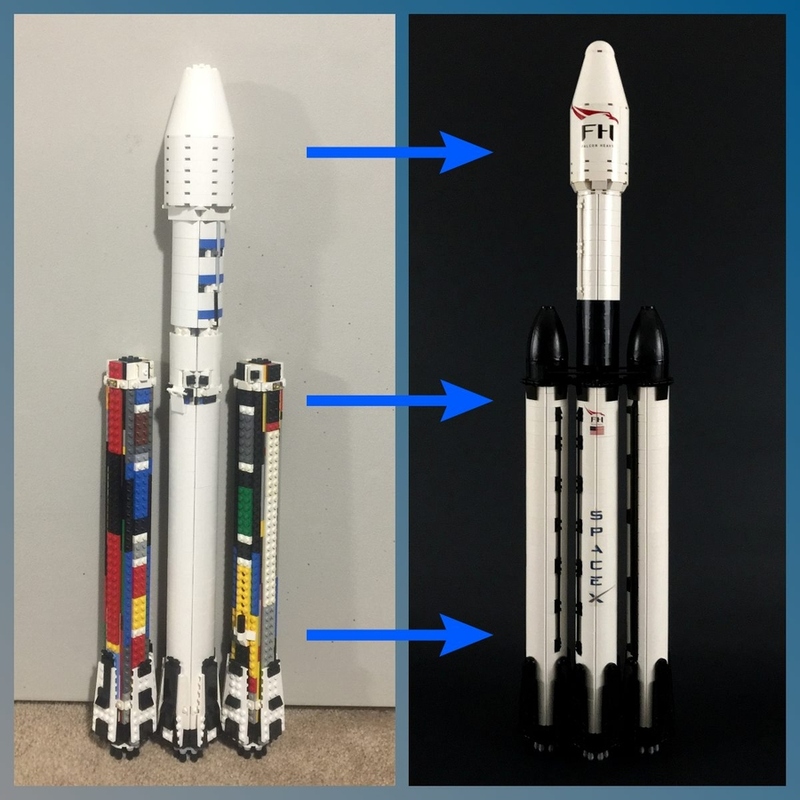 Bricklink is a website I’d visit way too often while building the Falcon Heavy. I don’t think this project would have been possible without all those brick dealers. I first got the idea while observing my students participate in a LEGO Machines lab. 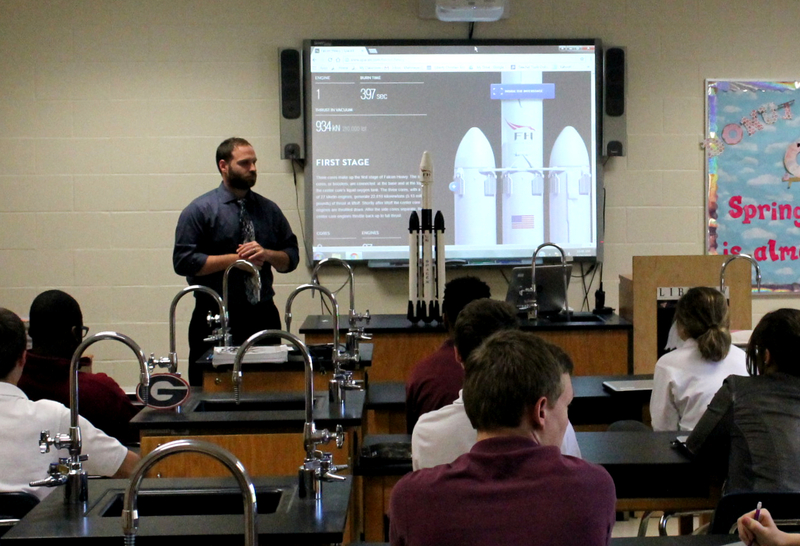 While they were working I had a live video feed of a SpaceX launch streaming on the smart board. 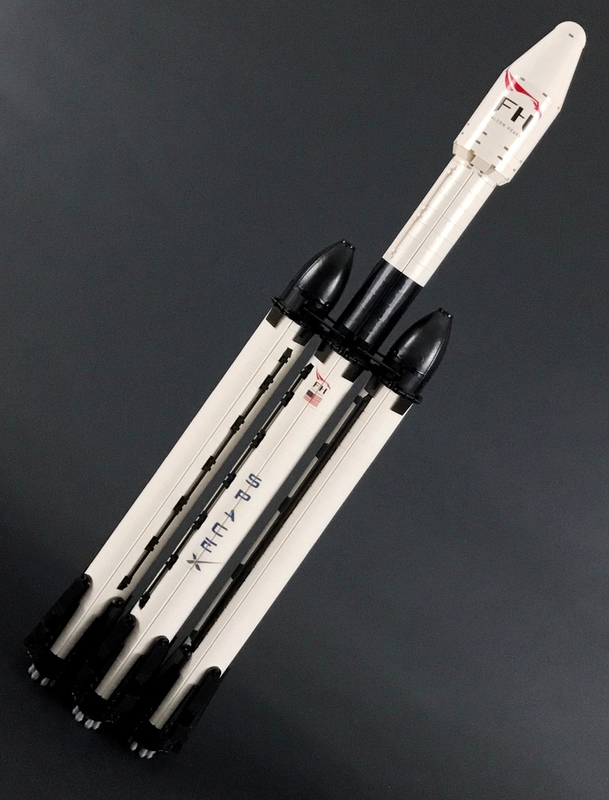 So I started thinking how great it would be to own a SpaceX LEGO set. When I got home I searched for one on the official LEGO Store website. I didn’t find one so I decided to take a bold step and build my own. 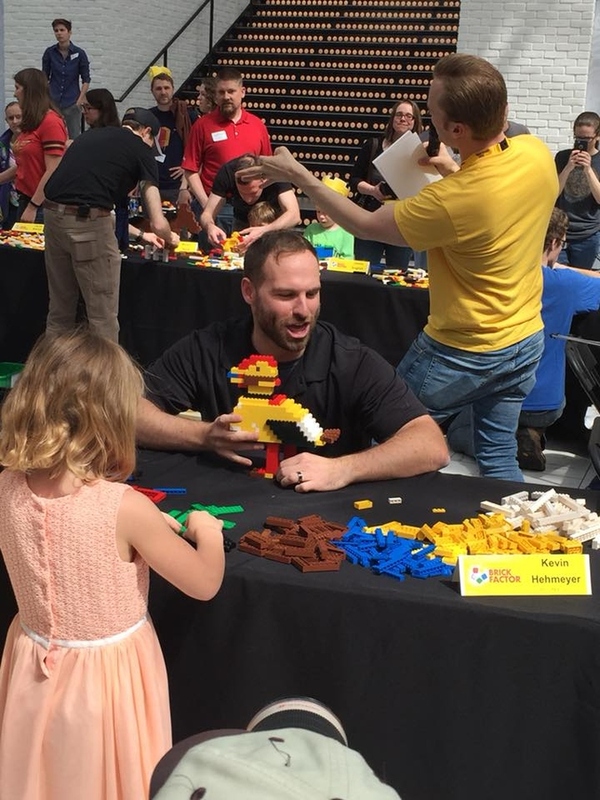 Once it started to come together I discovered the LEGO Ideas website and was encouraged by family, friends, and students to submit it. The biggest challenge was keeping an account of all the pieces I was using. I was borrowing 30-year old pieces from my brothers. I was borrowing pieces from Kari’s LEGO Disney Castle. I was taking pieces from several of my other sets too. I made promises that I would return them when I was finished. So I would take pictures of each piece to catalog them before throwing them into my pile of bricks. That way I could keep track of what needed to be returned and to whom. From start to finish it took me a month and a half to build the model. Designing in my head as I went. It seems like a fairly short amount of time, but the trade-off is that I worked on it for several hours every single day. On the weekdays I would wake up and go to work, come home and immediately start working on the model until about 2AM. Wake up at 6AM and repeat. Then on the weekends building the model was all I did. I’m sure there were times I was looking pretty rough. It took about 4 months to reach 10,000 votes. When we got there I was genuinely happy for everyone who really wanted to see this project succeed. I was also excited at the thought that this proposal could find itself on the desk of Elon Musk! When I first submitted the model to LEGO Ideas it was about 1700 pieces. As time progressed so did the model. Eventually evolving to about 2018 pieces...get it? This was my first and only project, so I am no expert. But I think the most important thing you can do to set yourself up for success is build something that fascinates you. Something that you personally would really love to have in your collection. If you do that, then you have all the motivation you need to do your best. And when you are truly dedicated everything tends to work out. 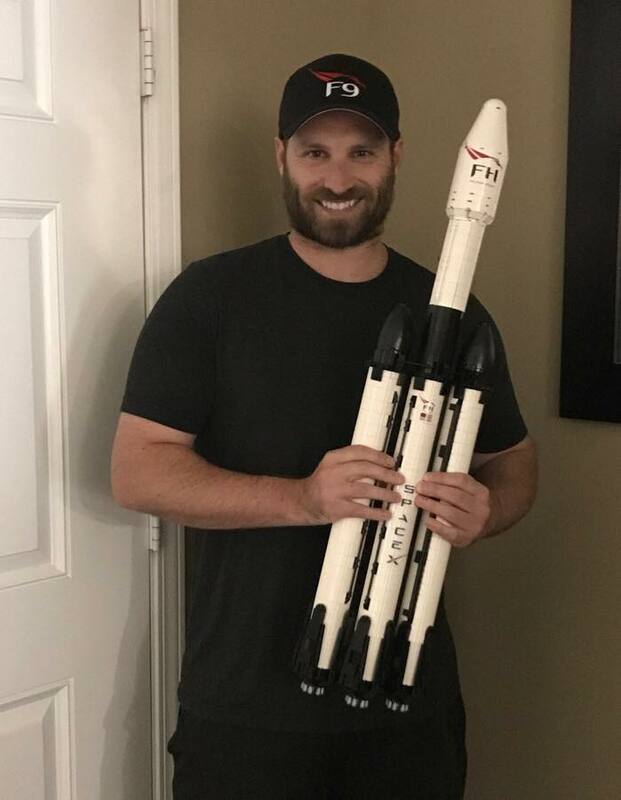 When I was building the Falcon Heavy I came across one engineering problem after another, but I never got frustrated. I’d start problem solving and eventually the problems worked themselves out. Then I’d move on to the next problem. 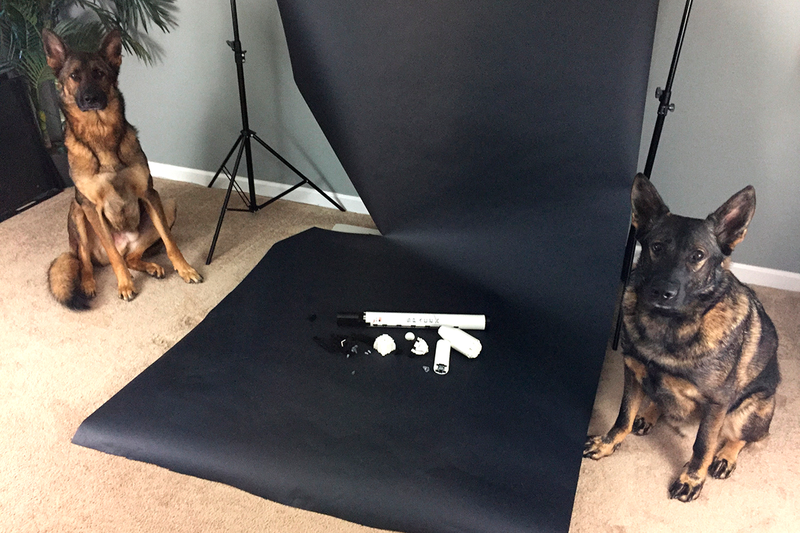 I didn’t have any experience with photography, but I taught myself about lighting and model placement. 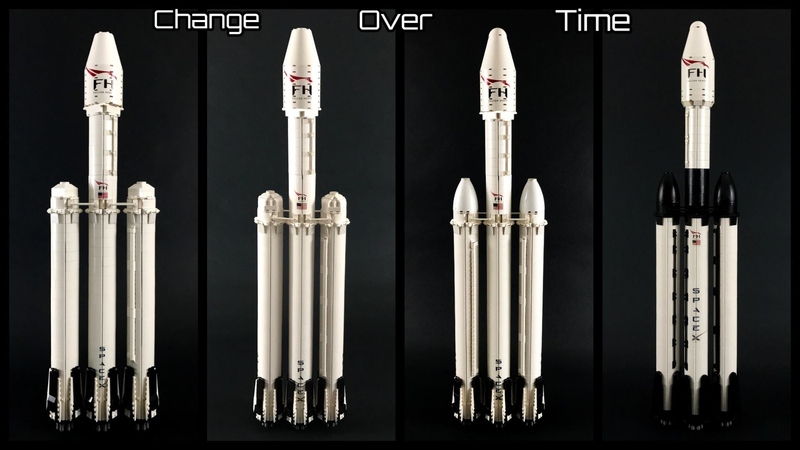 Even after I submitted the model to LEGO Ideas, I kept improving it and posting the updates. I’d make sure to always interact with my supporters. It’s important to keep people engaged. I was ALWAYS finding new ways to share my project with others—whether in person or online. I had to get pretty creative, which is why I think my project hit 10,000 in just a few months. Even though I hit 10,000 votes months ago, I’m still sharing it all over the web. Dedication - it’s a natural byproduct when you try your best. 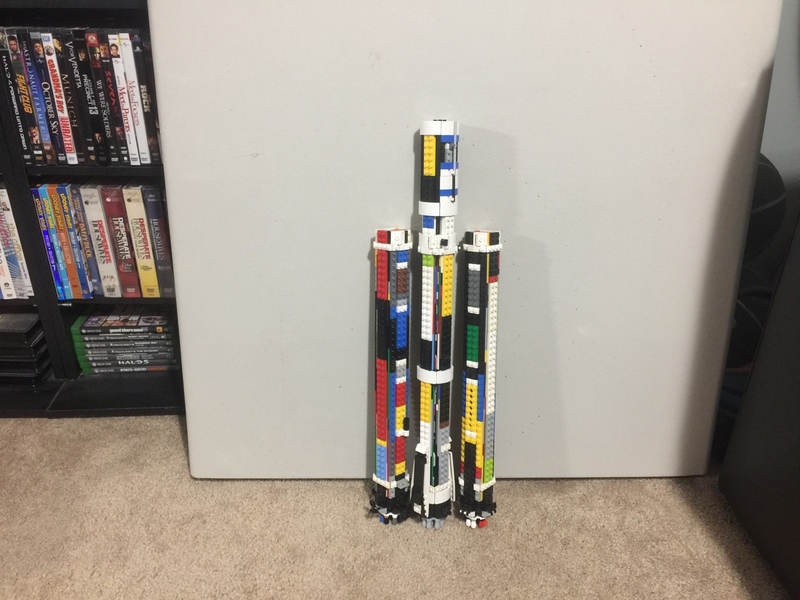 The LEGO NASA Apollo Saturn V for sure. I enjoyed and appreciated its sophisticated design so much that I’ve broken it down and rebuilt it at least 15 times. I even bought a second set, custom built a huge shadow box frame, and knolled out all the pieces to hang on display at home. It was my way of showing off all the magic that was happening inside the rocket. I love the professionalism of the platform. I love how anyone can upload their creations. But I also love how the community rewards those who put time into their models and project pages. That’s a tip I would give to anyone thinking about uploading an idea. Put some time into your model then share it with your family and friends. Ask them where you can improve. Make the improvements then share it with strangers online. People can be pretty blunt when giving their opinion about your model. Try to take it constructively. Use their feedback to improve it even more. Then upload your model, but keep improving it. Supporters like to see the updates.